What is a part month [Pro Rata] charge? Part month charges (also called Pro Rata charges) appear on your first bill to cover any days you used your service before your next monthly billing period starts. 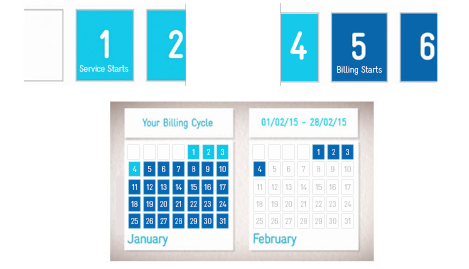 Part month charges also appear when you alter your existing service in between billing periods. This is so you only get billed at the new and old rates for days you used your service, not for that whole month. You are not being charged twice for the same thing – one charge follows on from the other. Remember, a part month charge only appears on your bill after a service has been changed or a new service activated. What is my monthly billing period?